Aortic dissection is the most common and highly lethal aortic emergency. Multiple studies have described the epidemiology, natural history, and management strategies of aortic dissection; however, few studies have addressed the question—What triggers the aorta to dissect? It is generally considered that aortic dissection is a random event that can occur at any day and point in time. However, there is evidence to suggest that aortic dissection is indeed not random; rather, we now believe that aortic dissection is programmed genetically and occurs at a specific moment as a result of a very specific sequence of events. 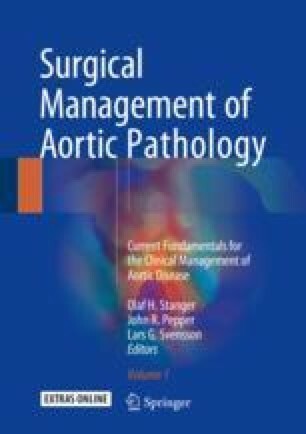 In this chapter we review our current understanding of the predisposing and inciting events that trigger aortic dissection.